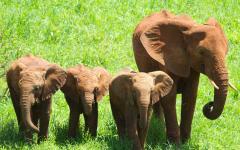 Travel with your family into the heart of the Tanzanian bush on an authentic safari experience. Staying at spectacular tented camps nestled in private locations across the infamous plains of the Tarangire and Serengeti, you will have the opportunity for unprecedented intimacy with the continent’s most famed species. Two nights at a tented camp positioned perfectly for the Great Wildebeest Migration will virtually guarantee that you are surrounded by two-million migrating ungulates. Designed with families in mind, there will be no better way to immerse your family in the magic and wonder of these remarkable lands. 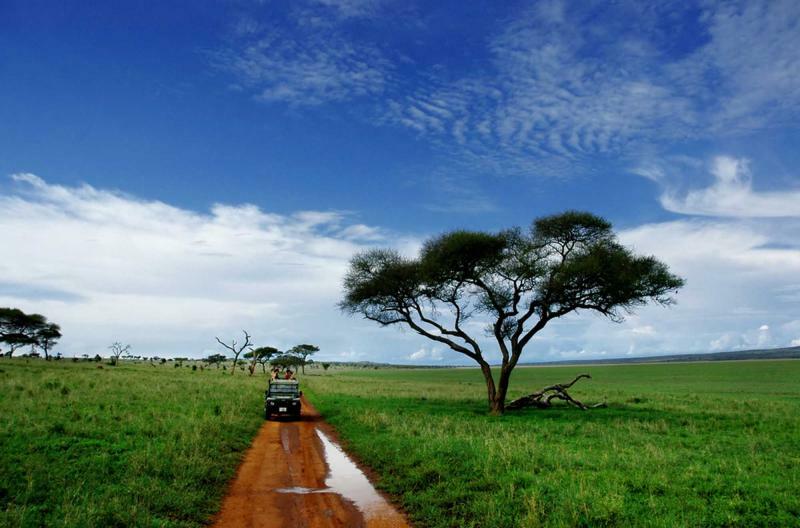 Drive out of Arusha and into one of Tanzania’s most untouched and untamed National Parks: Tarangire. Staying with only your family at the exclusive Little Olivers Camp, you will freely explore the plains, marshes and baobab trees under the leadership of a passionate guide. Step out of your vehicle to learn the basics of tracking and survival, as you follow the signs of the park’s numerous elephants. Set out in the evening, contrasting the changing nocturnal landscape with that of the day, before returning to the fireside under the starry night sky. From Tarangire, fly into the Serengeti to meet Nomad’s Mobile Serengeti Safari Camp, which exists in pursuit of the Great Wildebeest Migration. Strategically positioned for the best possible viewing opportunities, game-drives from here will thrust you into the epicenter of this natural spectacle. Return to the canvas tents for a surprisingly luxurious heated bucket shower and yet another impressive bush meal, before gathering fireside with this intimate camp to share stories of the day and the bush. Round off this phenomenal Tanzania safari vacation with a touch of luxury as you move to Lamai Serengeti, nestled away in the Kogakuria Kopje. From your family’s secluded private pool, gaze down on the endless savannah below you, watching wildlife through a pair of binoculars. Head out with an expert field guide in search of the famed Big Five, while learning of the insects, birdlife and plants that sustain this epic ecosystem before returning to Arusha to travel home. This safari package is designed to give guests intimate access to the Great Wildebeest Migration any time of year, and specific dates will largely depend on personal preferences. Nomad’s mobile Serengeti Safari camp spends the entire year shadowing this spectacular migration, meaning your family will only have to decide which part of the show you wish to see. While the migration patterns vary based on rainfall and temperatures, the following trends are true year after year. January-February: Wildebeest calve their young in the Southern Serengeti and Ngorongoro Conservation Area. 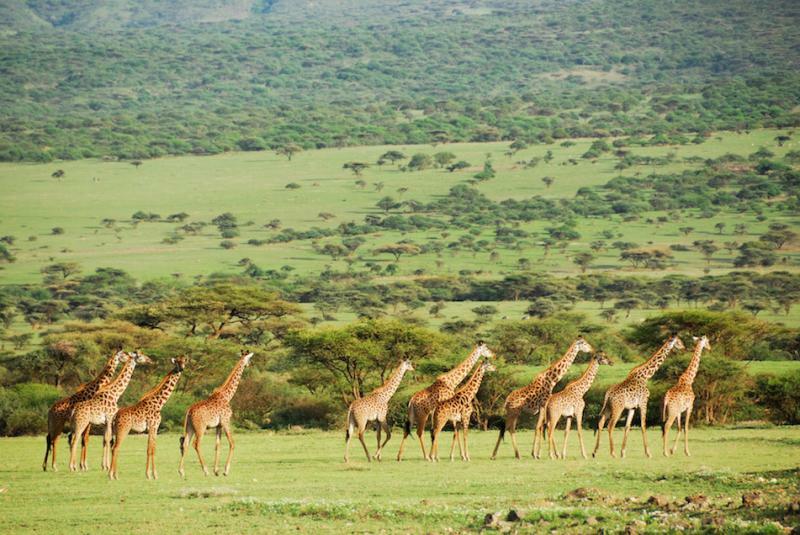 April: The migration begins its westward journey through the Serengeti. Wildebeest often congregate around the Grumeti River for a short period. June – August: Wildebeest begin moving northwards, while some remain in the northernmost areas of the Serengeti, others continue on to Kenya’s Masai Mara. 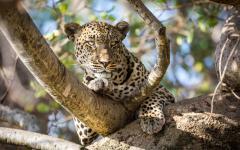 Generally, wildlife viewing is easiest during the dry season, which spans from June – October and January – February. 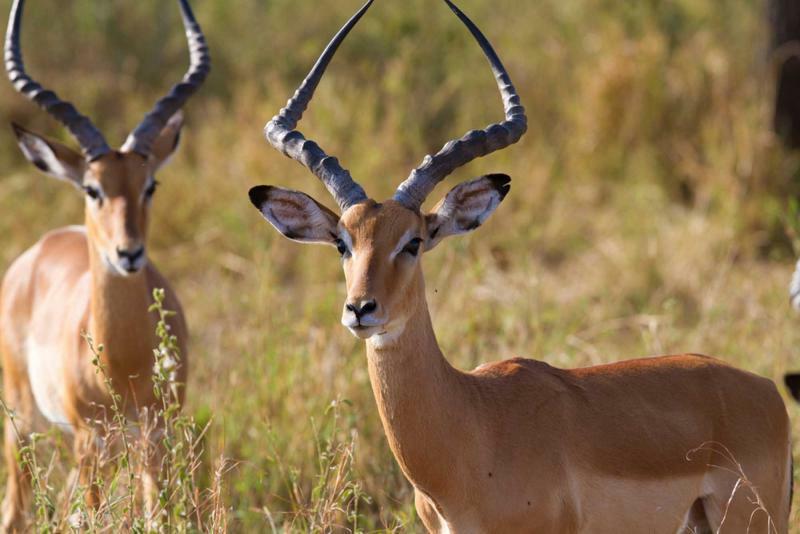 Wildlife is especially prolific in Tarangire between August and October – however the bush is at its most lush during April and May. November sees a short period of rain, and often attracts an impressive number of migratory birds to the region. Your international flight will draw to a close today as you descend over Tanzania, with spectacular views of the snow-capped peaks of Kilimanjaro and Mount Meru. You will touch down at Kilimanjaro International Airport at the base of the 15,000-foot Mount Meru. Upon clearing customs and collecting your baggage, a representative will meet you and your family in arrivals. Piling into a spacious private vehicle, we will transfer you out of the city and towards the lush and colorful Arusha Coffee Lodge. Set on a working coffee plantation, this first stop will be the perfect place to stretch your legs and unwind before the adventure really begins. You and your family will stay in a private cottage on these sprawling grounds. You will have the afternoon to take a dip in the swimming pool, relax beside your cottage’s private wood-burning fireplace, or stroll through the purple bougainvillea gardens. For teenagers with a bit more energy, it is also possible to take a two-hour walking tour through the active coffee plantation, learning how the coffee is grown, harvested and roasted. Join the lodge tonight for a meal grown directly from the surrounding rich volcanic soil, before retiring to your cottage for bed. This morning you will rise to the smell of freshly brewed local coffee, which will lure you to the verandah for a breakfast buffet of fresh fruits and pastries. After feasting on this delicious spread, you and your family will return to your private vehicle to begin the drive to Tarangire National Park. 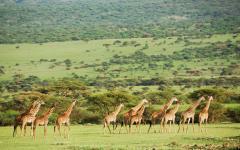 Leaving the city, the landscape will quickly transform from farmland into picturesque African plains,. Stopping on route for a scenic picnic, you will know you are nearing your destination as the soil transforms into a rich ochre color, and signs of human intervention disappear. 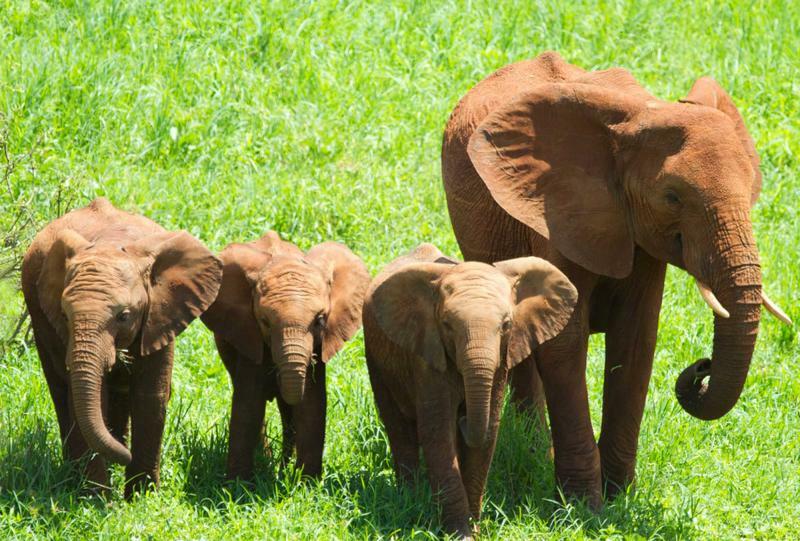 Tarangire National Park stands among Tanzania’s more remote and untouched areas, allowing you and your family to have an intimate first experience in this stunning park. This afternoon you will be ushered into the ‘back-to-basics’ beauty of Little Oliver’s Camp. This recently opened canvas tented safari camp overlooks the Minyonyo Pools, in the shade of the behemoth baobab trees. Founder Paul Oliver prides himself on the camp’s ability to celebrate an authentic African experience. Free from the opulence and crowds of camps based further north, Little Oliver revolves around the essentials, with thoughtful luxurious twists round every corner. A king sized bed in a canvas tent, equipped with a glorious outdoor shower will act to enhance the rugged natural surroundings. Spend some time this afternoon acquainting yourself with your surroundings and hosts, discussing possible activities for the coming days. Given your exclusivity in the camp, every moment of your time here will be perfectly tailored to your individual preferences. Enjoy a communal meal tonight with your hosts and guides before you all migrate round the fire for stories of the bush. Whiskey, wine and soft drinks go hand in hand with these late night talks under starry skies, before you eventually drift to sleep listening to the sounds of the wild. Today you will rise early to beat the sun, in hopes of catching the bush while it is at its most active. Enjoy a quick cup of coffee and a warm bucket shower before venturing out into this secluded park with an expert guide. From your base deep within the park, it will be only moments before vibrant wildlife emerges before your eyes. 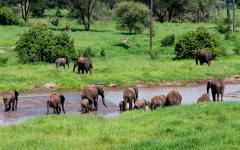 Tarangire is known for its huge herds of elephant, which roam alongside dense populations of big cats. As the sun rises higher into the sky, you will pause under the shade of a baobab tree for breakfast from a wicker picnic basket spread out over a checkered cloth. Teenagers may be interested in scampering up the gigantic limbs of the baobab in search of panoramic views from the treetop. 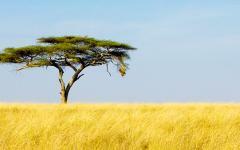 Tarangire will, after all, be the prime place to marvel at the magnificent trees. 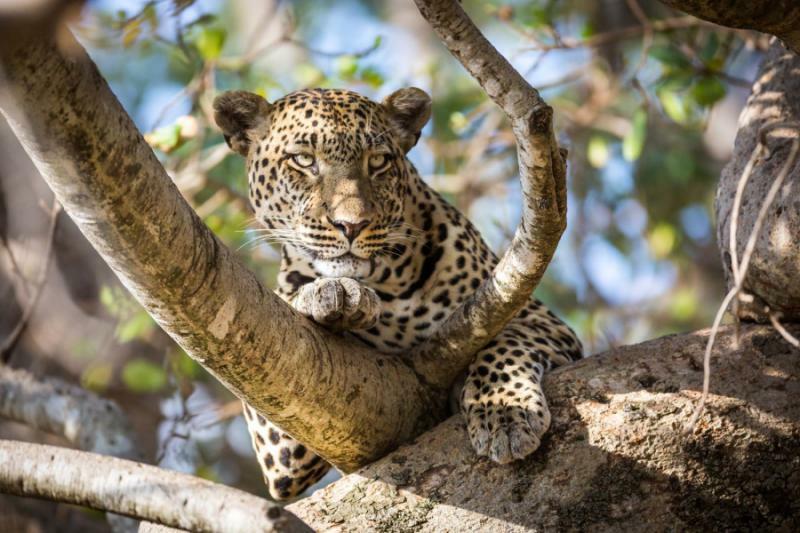 In the late afternoon, you will likely set out on another game drive – perhaps this time in search of some of the lesser known creatures. 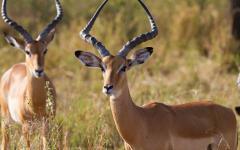 Tarangire is significantly drier than the Serengeti, and is home to unique wildlife including the oryx and gerenuk – two prehistoric looking antelope. The Kori bustard – the world’s heaviest flying bird – is also a remarkable spotting in this arid landscape. 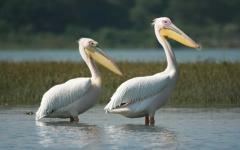 As you continue to traverse this raw landscape, you will stumble upon the marshes and rivers that sustain the wildlife. During the dry season, these tiny sources provide sustenance to nearly the entire region, allowing for incredible wildlife viewing. As the sun sets, you will return to the camp in anticipation of a remarkable dinner. It will likely never cease to amaze you the wonders that a bush kitchen is able to produce with such limited infrastructure. Gather round the fire in the evening to swap stories from the day, before falling asleep easily in your private tent. This morning, you may wish to set out into the bush on foot today, for some added intimacy and adventure. 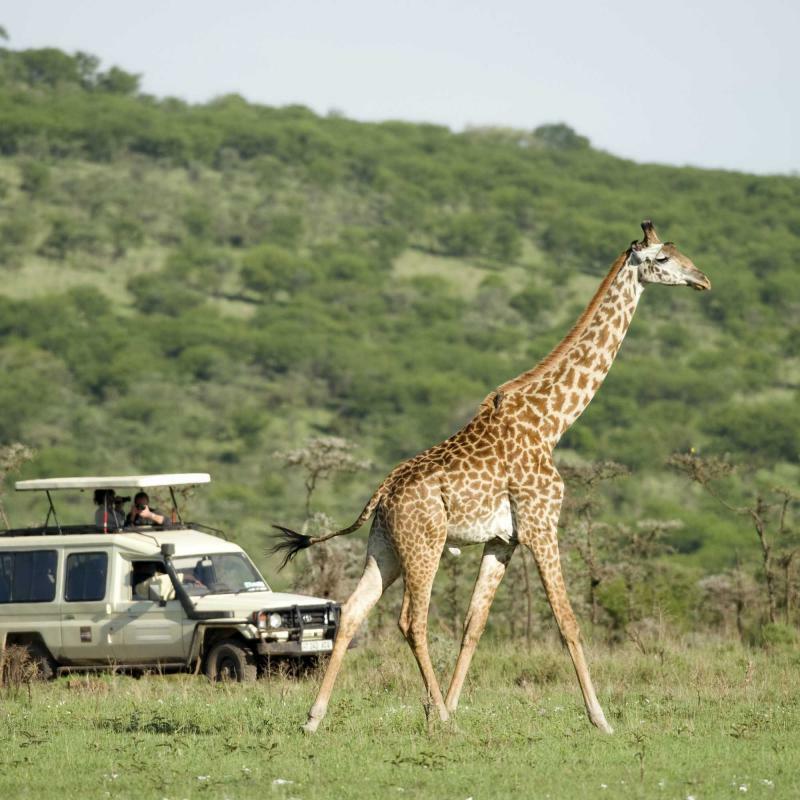 Oliver’s Camp is one of the few lodges to obtain special permission to lead guided walks through Tarangire – and it is certainly not an activity to miss. Senses heighten as you step onto the plains, listening and smelling for signs of activity. These walks are often a great time to learn from your guides, as they show you how to track a lion, spot an elephant and make a bracelet from the bark of an acacia tree. 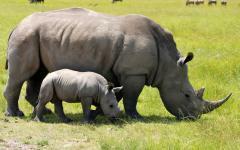 Guests will often manage to walk alongside numerous ungulates, with a lucky few stumbling upon elephant and lion. 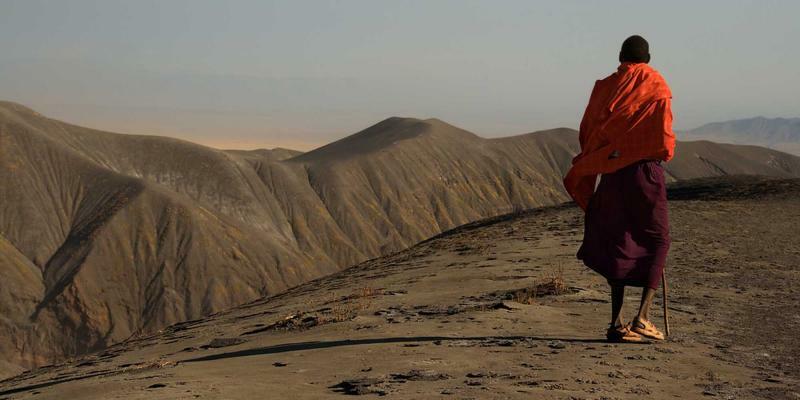 Walks are done with highly skilled guides and rangers, making these a very safe experience. Returning to the lodge for a warm bucket shower and lunch, you will then spend the peak of the day in the shade of a tree, relaxing with a book or a deck of cards. You may wish to set out on another late afternoon vehicle safari, before returning to camp in time to watch the sun set over the Minyonyo Pools. Following sundowners and appetizers, another unique activity offered by Oliver’s is the opportunity to set out on a night drive through Tarangire. Again, the lodge has obtained special permission to conduct these evening drives in a National Park, and guests would be wise to take advantage of the opportunity to explore the nocturnal setting. Listen for the shrieks of bush babies as they propel themselves madly through the trees, and listen for the laughter of hyenas as they scavenge the landscape. Take a moment to pause under the uninterrupted starry night sky, learning of the constellations visible in the southern hemisphere. Return for a late dinner as hyenas and buffalo circle the perimeter of the camp. This morning you will wake for a quick breakfast before driving to the Kuro Airstrip, roughly one hour away from Oliver’s. Here, you will board a flight that will carry you above the infamous plains of the Serengeti, landing somewhere in the Serengeti. The exact landing spot for your flight will depend on the particular time of year, since you are about to spend the following days at Tanzania’s first mobile safari camp. Nomad Tanzania developed this moveable camp in order to always give their guests the best possible vantage point for the Great Wildebeest Migration. Years of experience in the Serengeti enable the owners, Mark and Milly Houldsworth, to predict the movements of the migration, following them across the plains on this exciting adventure. Since establishing this camp in the early 1990s, numerous companies have attempted to mimic this model – never quite finding Nomad’s perfect balance of relaxed comfort, great company, environmental responsibility and perfect positioning. As you arrive at this intimate and rustic camp, your journey through the authentic African bush will continue. The camp is comprised of six walk-in canvas tents, each with a dressing area and en-suite bathroom. As you refresh yourself with a heated bucket shower, you will undoubtedly be surprised by just how luxurious an outdoor shower can be. In the late afternoon, you will gather with guides and camp managers for sundowners and soft drinks as you watch a remarkable sunset over the famed savannah. As the sky transforms, you will enjoy another impressive bush dinner before gathering again round the fire. Today, the familiar rhythm of early mornings with tea and coffee will continue as you rise early in search of the migration. 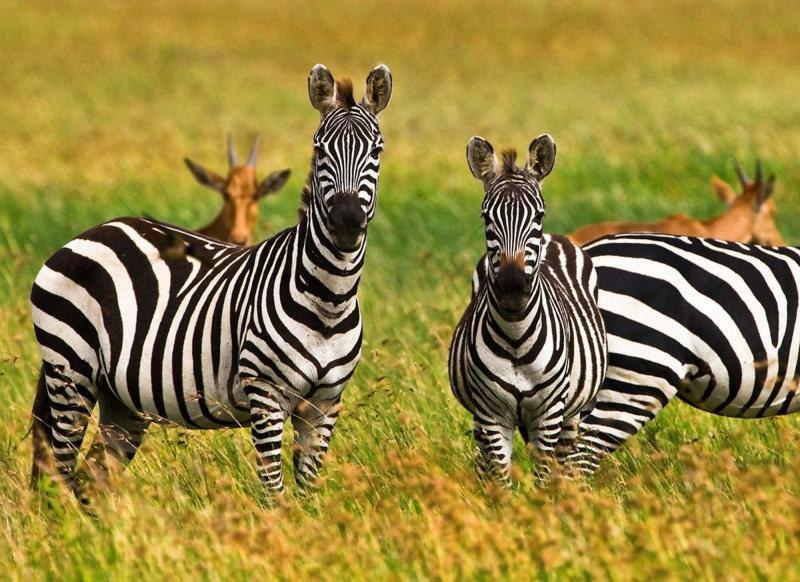 Setting out onto the plains, you will literally stumble upon countless wildebeest, zebra and impala as they graze on the green pastures that guide their annual journey. 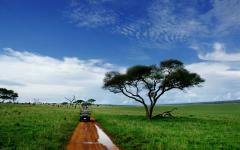 Unperturbed by human presence, you will be able to drive among this humungous group, marveling at the magic of it all. Driving onwards, you may have the chance to run into wildebeest on the move, as thousands of them gallop and walk towards the next set of pastures. If timing is right, you may even have the opportunity to watch newborn calves as they navigate the new landscapes, learning survival skills in protection from the predators that roam the perimeter. As an elephant cruises across the horizon, and a giraffe meanders through, this truly will be the quintessential moment in your safari. To add more descriptors would only begin to detract from the surprise and wonder of witnessing this migration firsthand. 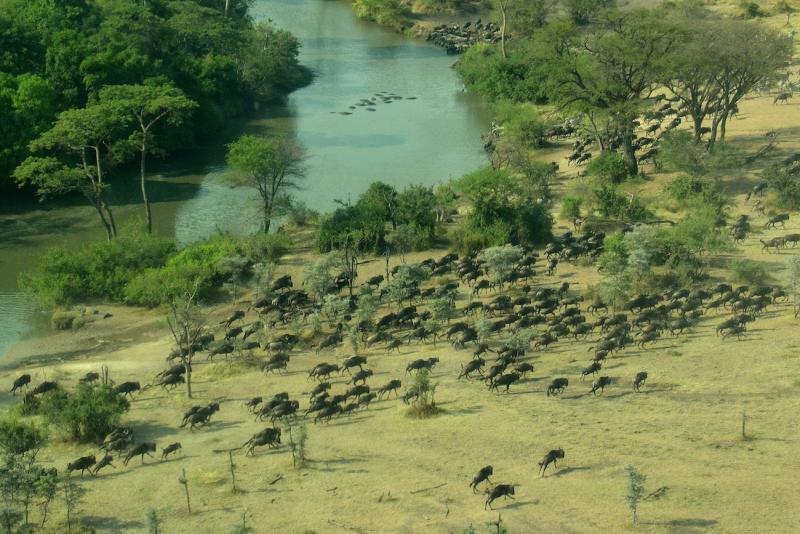 The decision will be yours to spend the entire day among this impressive migration, or whether you wish to return to the camp for lunch and some shade. As you will be traveling in a private safari vehicle with only your family and a guide, the day will be completely customized to you. As the late afternoon sets in, you will travel to a unique vantage point where you can enjoy a cocktail as the sun sets over the wildebeest-covered landscape. Return to the camp to unwind from this magical day over dinner, the fire and eventually, bed. Fall asleep to the grunts of the wildebeest wandering around the outskirts of your camp. 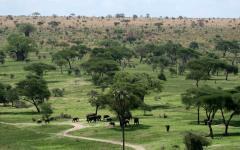 Today you will fly from your mobile camp to Lamai Serengeti Lodge in Northern Tanzania. 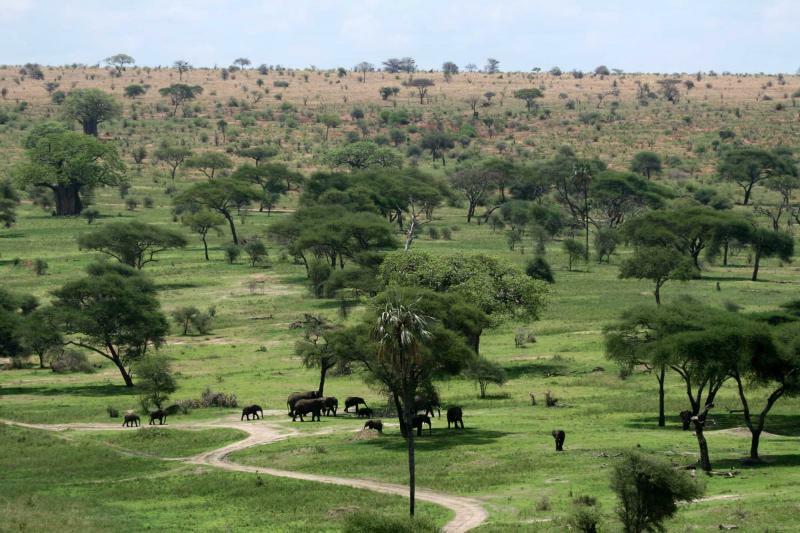 This sensational site in the secluded northern part of the Serengeti was rewarded to Nomad by the Tanzanian government for their impeccable history in tourism and environmental conservation. As you drive up to the Kogakuria Kopje – a rocky outcropping in the otherwise flat landscape – you will need to look hard to spot this environmentally sensitive lodge. Nomad has gone to great lengths to incorporate the natural surroundings into construction and design, enabling this luxurious property to blend seamlessly into the wild. Your family will spend the following days in the private lodge, with two bedrooms and two en-suites – perfect for a traveling family. You will also have a private swimming pool, a kitchen and a personalized chef. The main lodge is of course also open for your exploration. Your cottages are surrounded by numerous balconies, each offering stunning panoramic views. The comfortable chairs are the perfect place to perch yourself for quiet contemplation, or to observe the land below through binoculars. Having thus far experienced total remoteness and tens of thousands of migrating wildebeest, the following two days will be time for a great African spectacle. Rising early as the sunrise floods your cottage, enjoy a cup of coffee on your balcony before setting off with a skilled guide in search of the infamous Big Five. 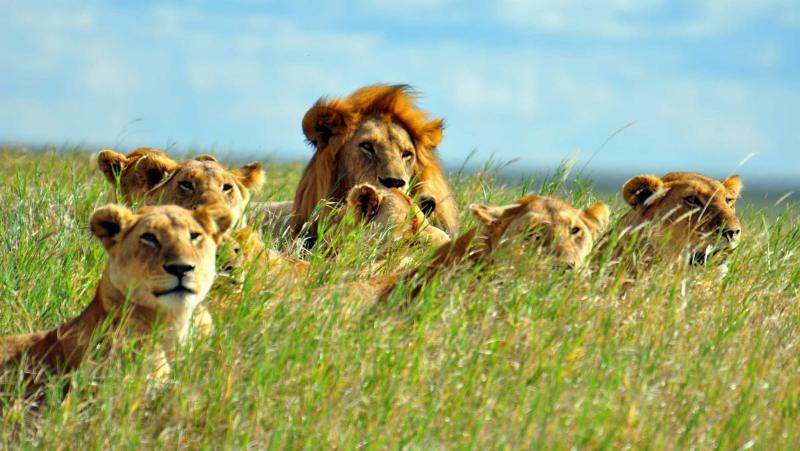 Lions, leopards, buffalo, rhinoceros and elephant are truly prolific in this secluded portion of the Serengeti, giving you many opportunities to observe them in their natural habitat. As you return to the camp for lunch, relaxation and an afternoon tea, be sure to keep an eye out for intrepid baboons, mongoose and hyrax that often visit the surrounding cliffs, in hopes of scoring a snack. 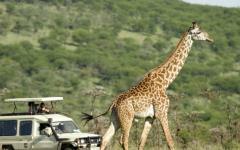 This afternoon, you may wish to drive towards the great Mara River, only a few kilometers from the lodge. From late July to October, the wildebeest attempt the dangerous crossing that bridges Kenya’s Masai Mara with the Serengeti. The hippo and crocodile-infested waters test the agility of the wildebeest as they trundle across this epic landscape. 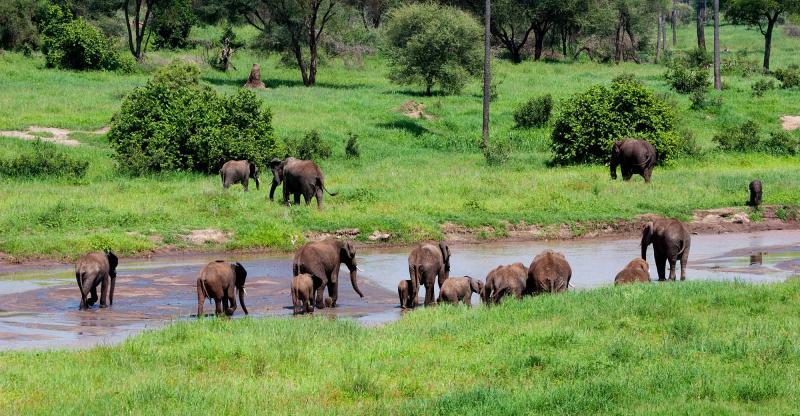 Throughout the rest of the year, this river sustains the local wildlife populations and a picnic on its shores often reveals spectacular game viewing. Driving to and from the river, you may have the opportunity to witness lions feasting on a recent kill, leopards with their cubs or even a cheetah on the hunt. The opportunities are endless in this region. Today will be your final opportunity to explore the sublime beauty of the African landscape. Whether this means rising especially early for another theatrical sunrise, or quietly spending the day on the porch of your cottage with a cup of coffee, the day is yours to design. 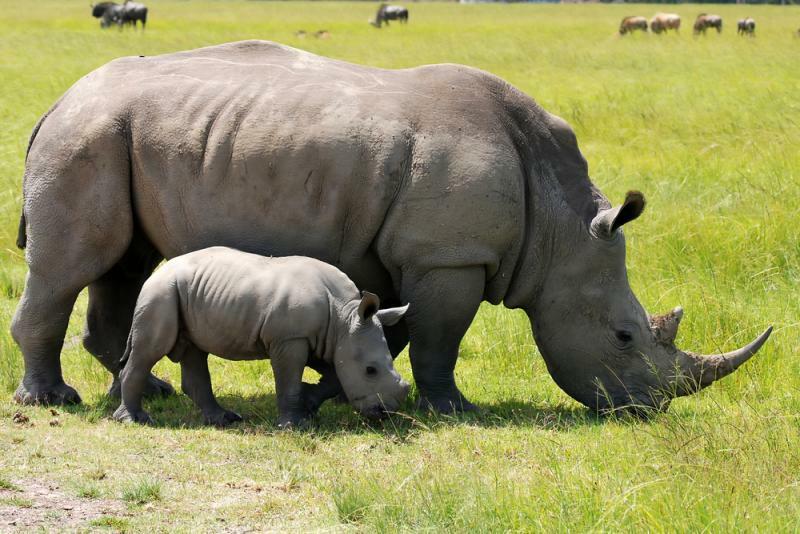 Your teenagers may appreciate a final game drive that will give them the opportunity to revisit favorite animals, or seek out the creatures that remain hidden. Take time to speak with your guide, learning a bit more about the dynamics and challenges of sustaining this remarkable landscape. Guides live nearly year round in the bush and are able to offer a unique and relevant perspective on the region. Return to the lodge in the late afternoon for a few final sun downers around the pool. Chefs will prepare a delicious final feast, inspired by the region around you. As you migrate towards the communal fire for tea or whiskey, soak in the night sky while listening to stories and the sounds of the bush. Today you will enjoy a last bush breakfast as the sun rises on the Lamai camp, before it is time to board your flight back to Arusha. 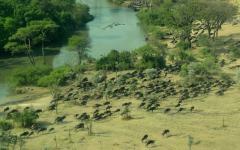 This flight will gift you with a final few glimpses of the savannah below as you fly the length of the Serengeti. Landing in the shadow of Kilimanjaro will be the perfect conclusion to this remarkable family holiday. Depending on timing, you may wish to spend a few hours between flights at the lakeside Duluti Lodge before returning to the airport. From Kilimanjaro International Airport, you will connect onwards to your international flight or, if interested, a quick trip extension to the coast. 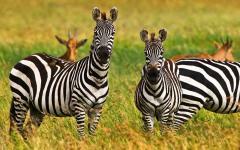 Zicasso will happily extend and customize any trips, ensuring you receive the perfect east African experience. 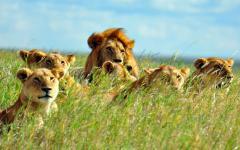 The Tanzania safari trip reviews will share experiences travelers had in this amazing country, and other areas they visited. You may get some unique ideas from these reviews. "Very well planned and executed. Were taken care of every step of the way." "The travel company was exceptional in meeting our needs." "Very patient and dedicated team who took in everything I threw." "All of the guides were excellent."